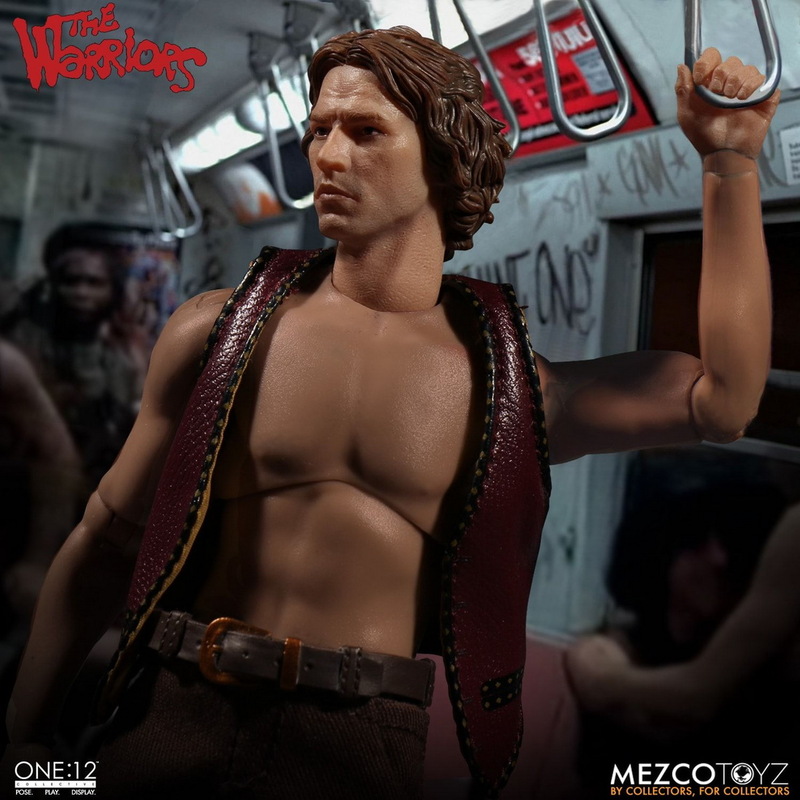 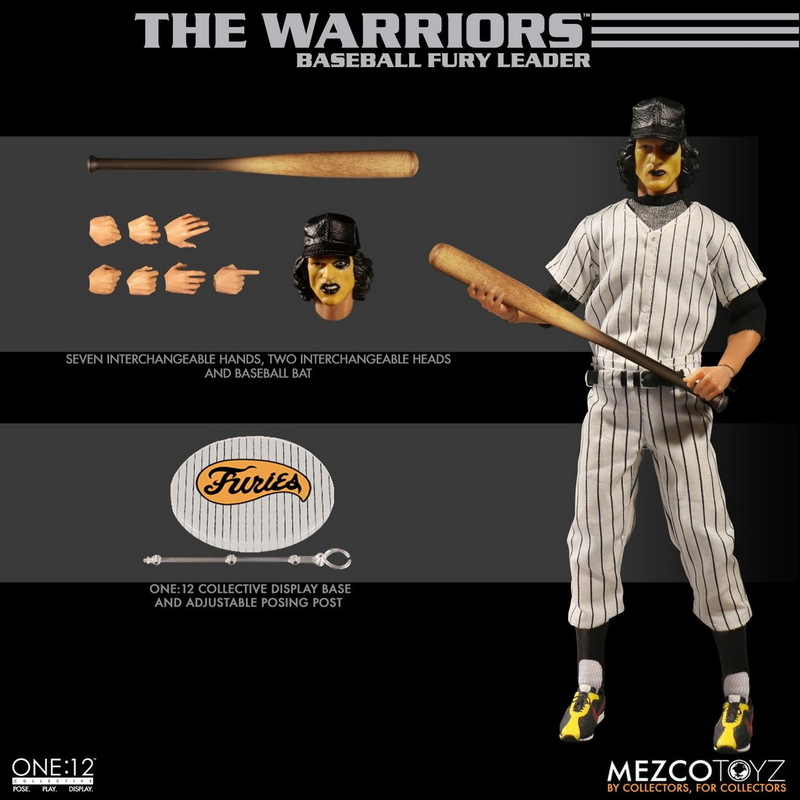 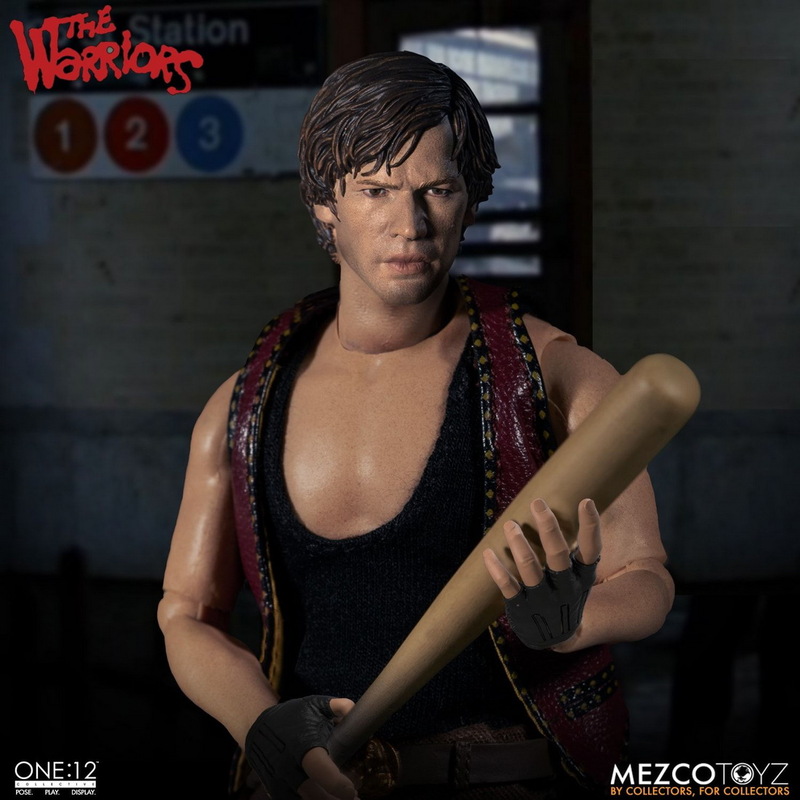 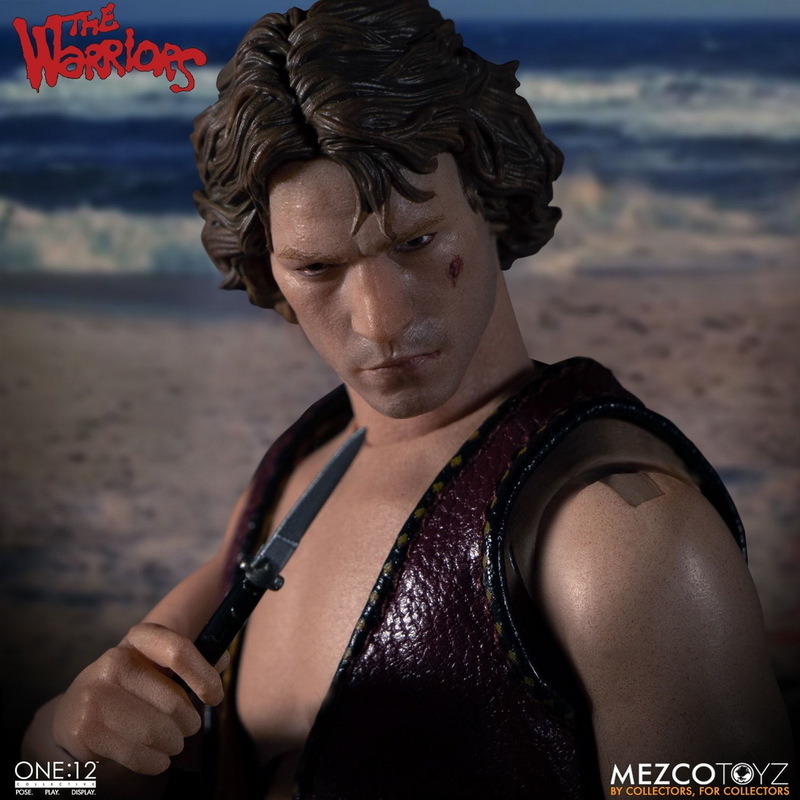 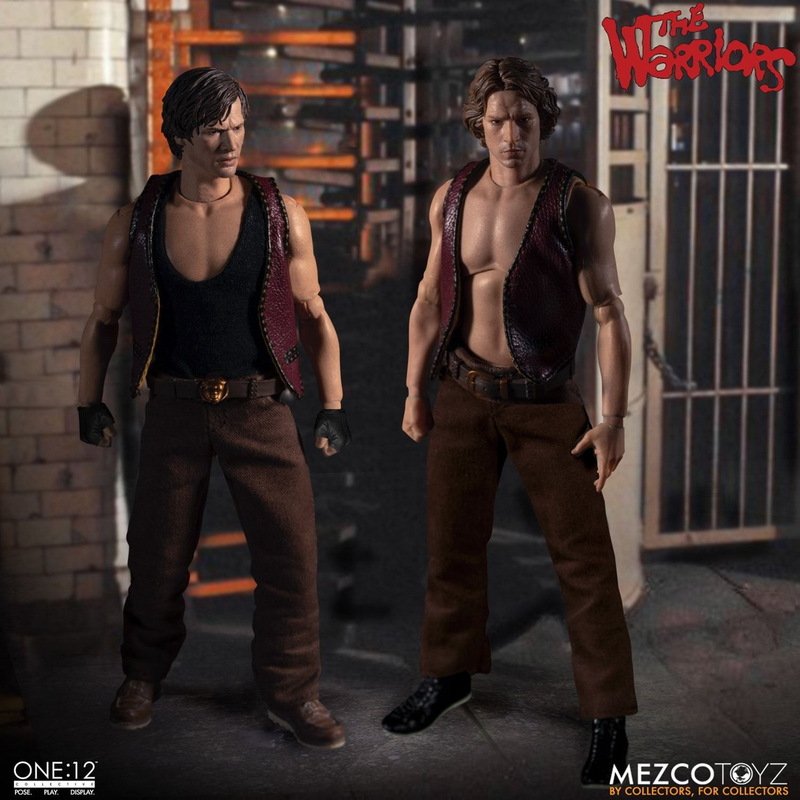 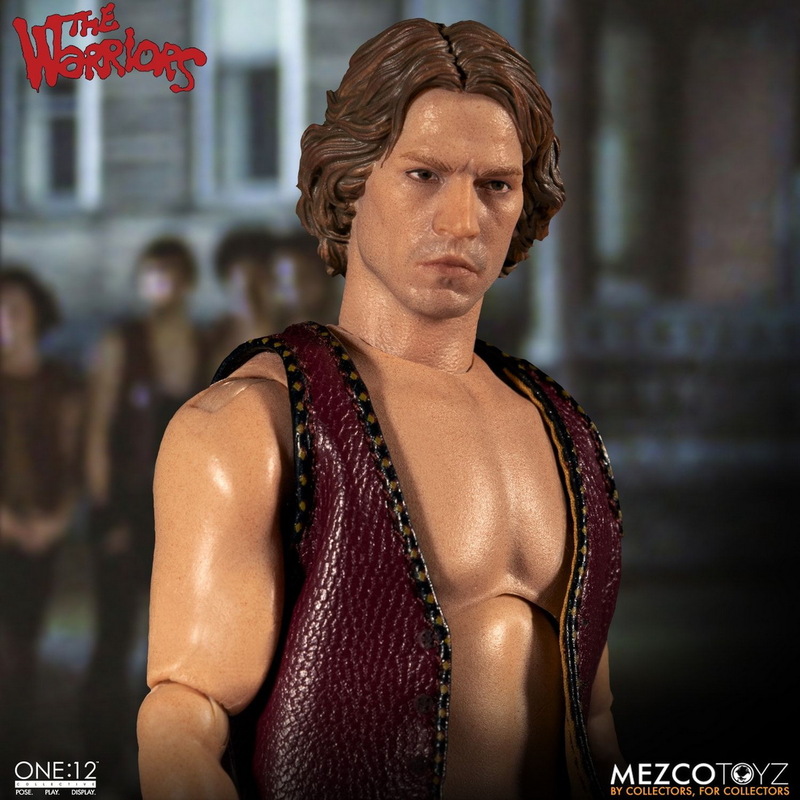 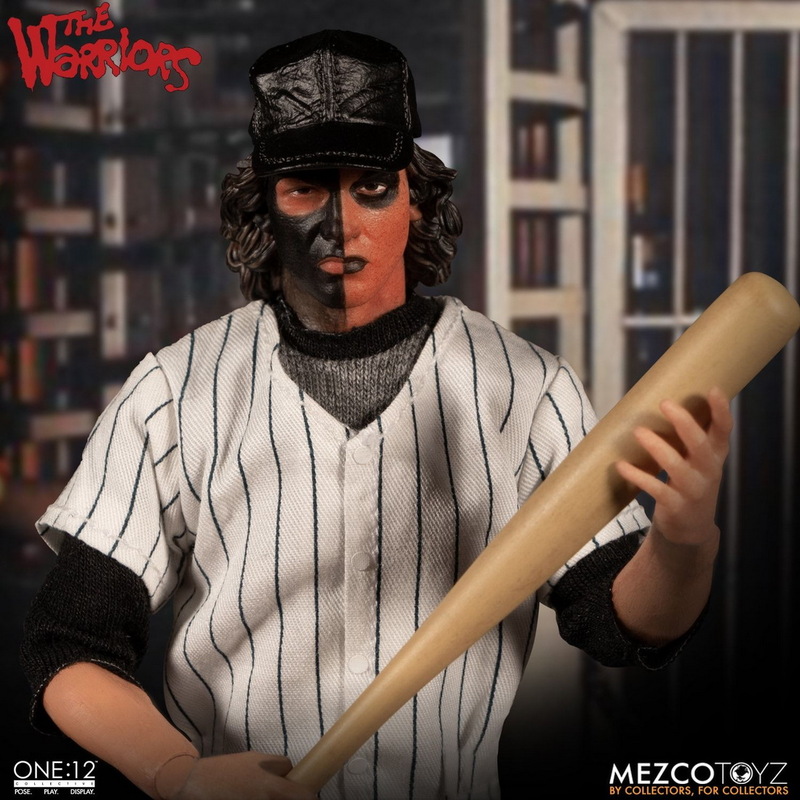 Mezco Toyz蚂蚁：1/12 1979电影《The Warriors/战士帮》系列可动人偶【共4款】兵人在线 - Powered by Discuz! 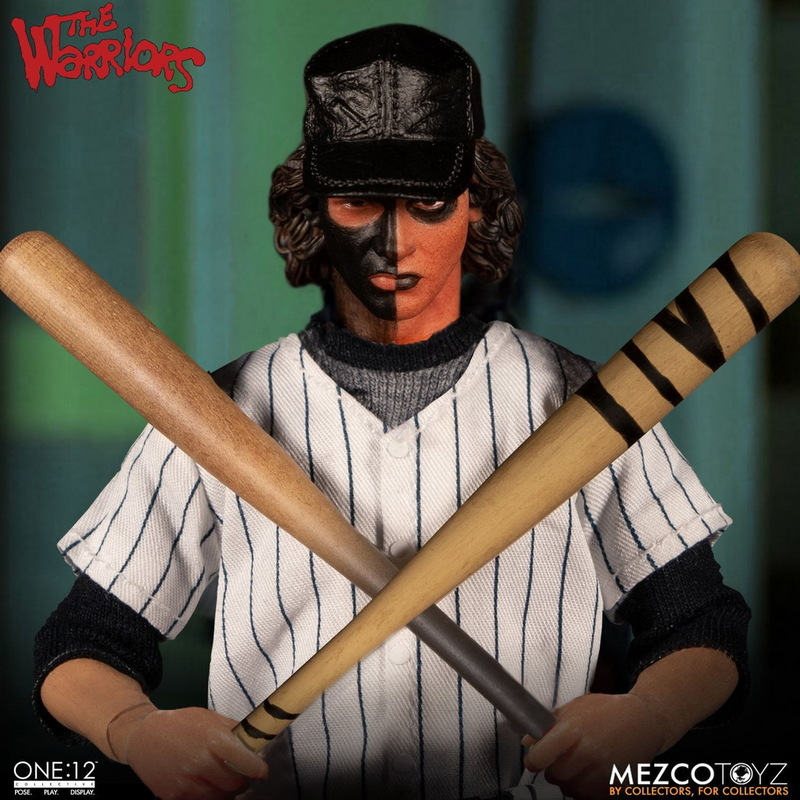 February 9, 2019 marks the 40th anniversary of the timeless cult hit, ‘The Warriors’. 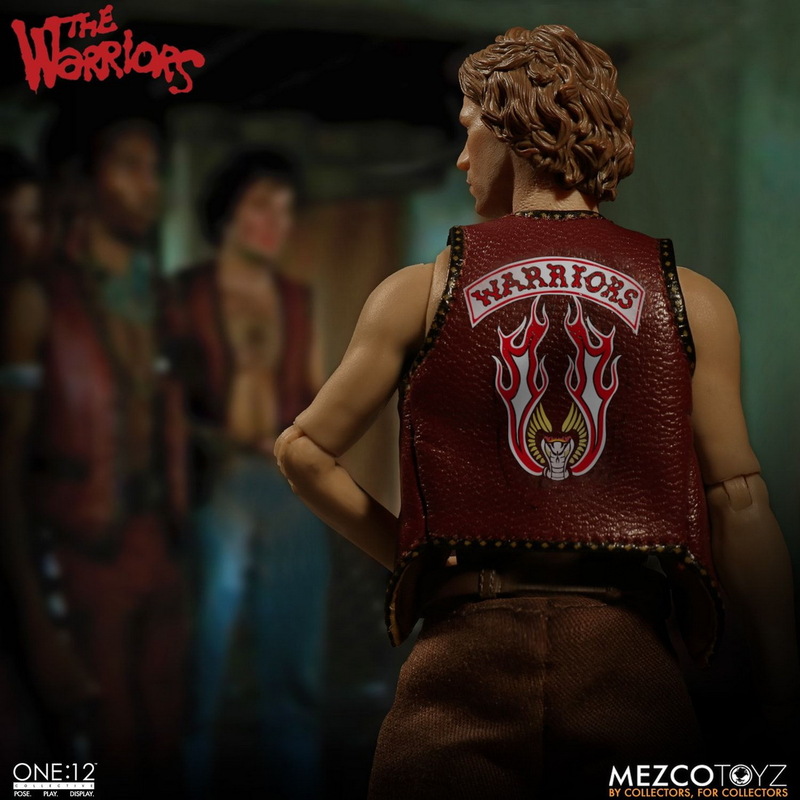 In honor of this occasion, The Warriors join the One:12 Collective with a four-figure deluxe box set and are packaged together in a special edition, collector-friendly metal tin - perfect for displaying alongside the gang! 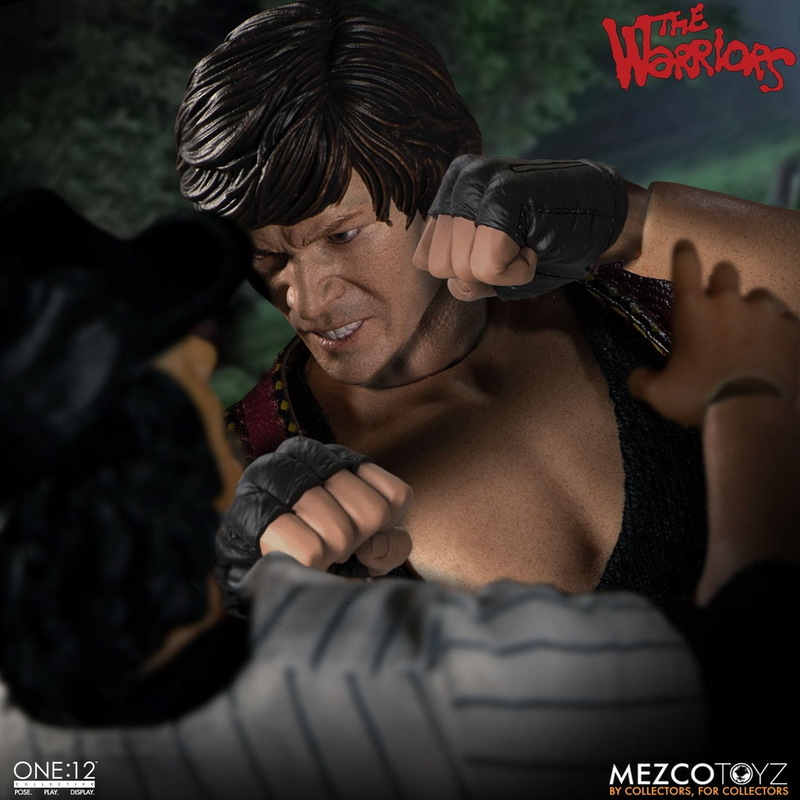 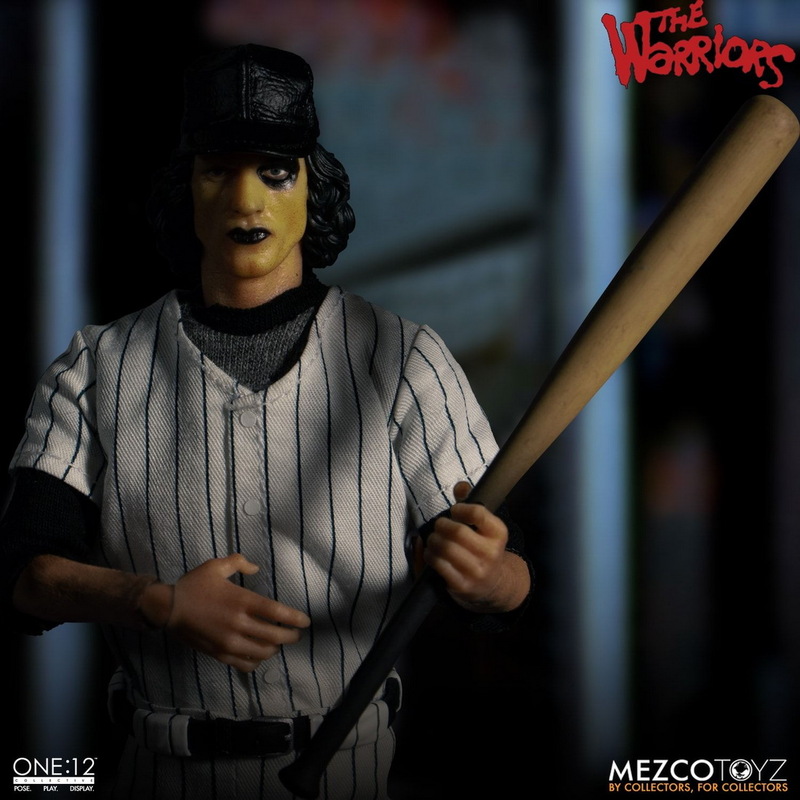 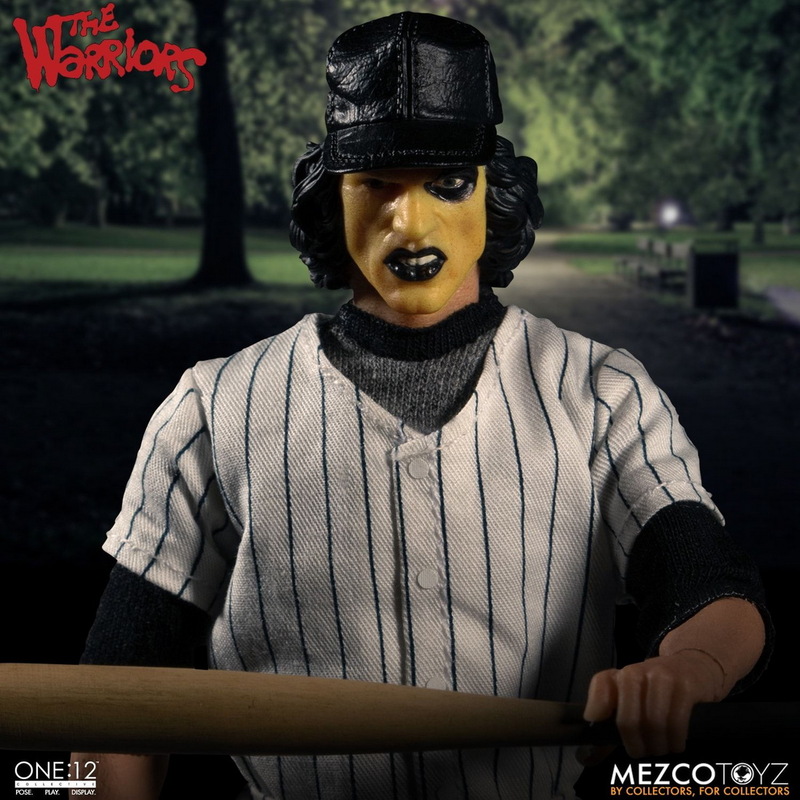 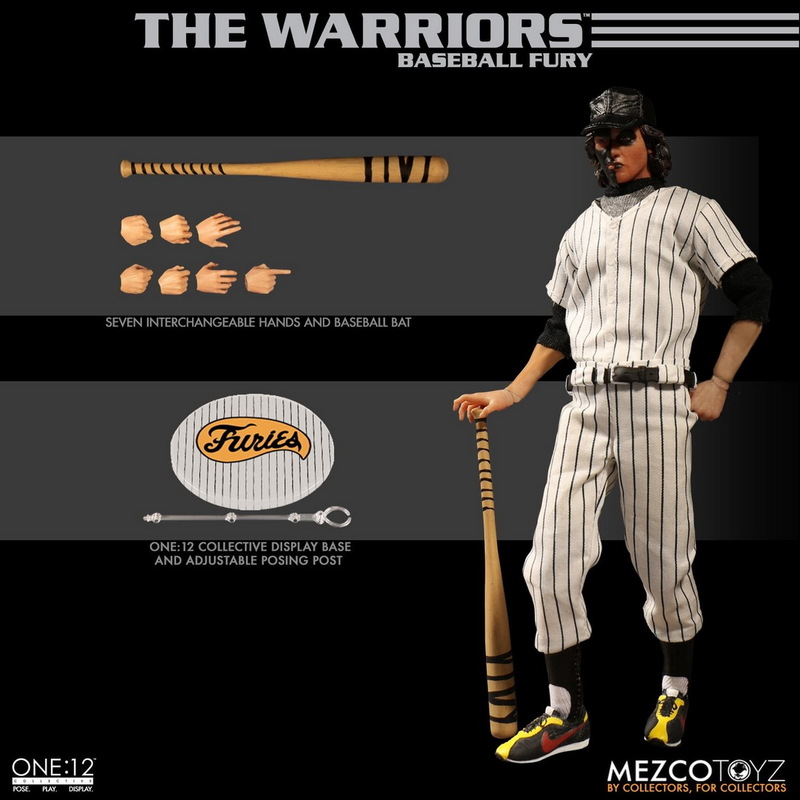 The One:12 Collective The Warriors Deluxe Box Set includes Ajax, Swan, and two Baseball Furies. 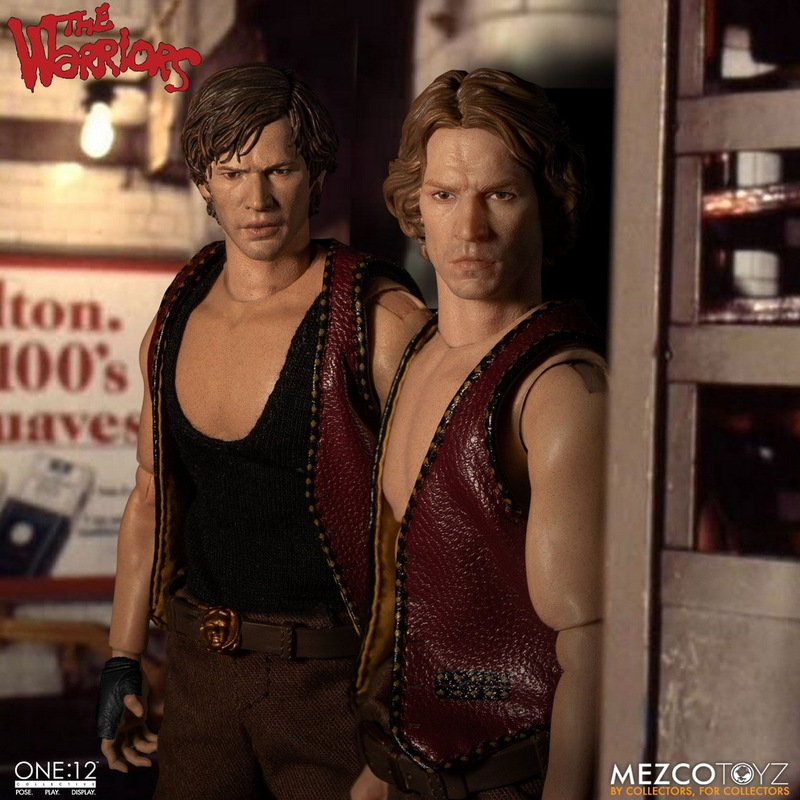 Swan & Ajax both come outfitted in leather look vests. 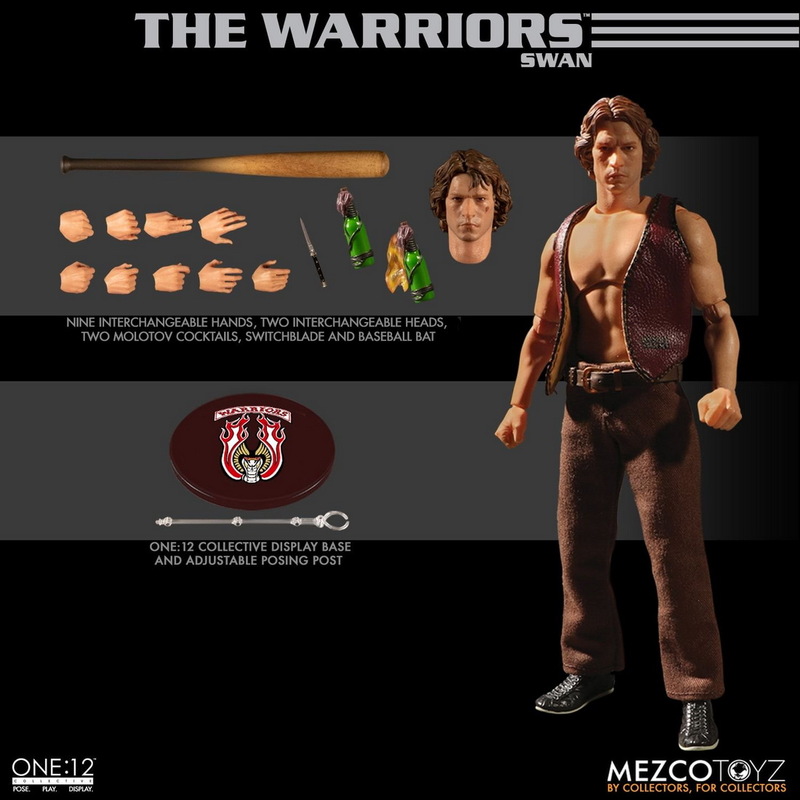 Swan comes battle-ready with a switchblade, baseball bat, and two Molotov cocktails – one with and one without a flame. 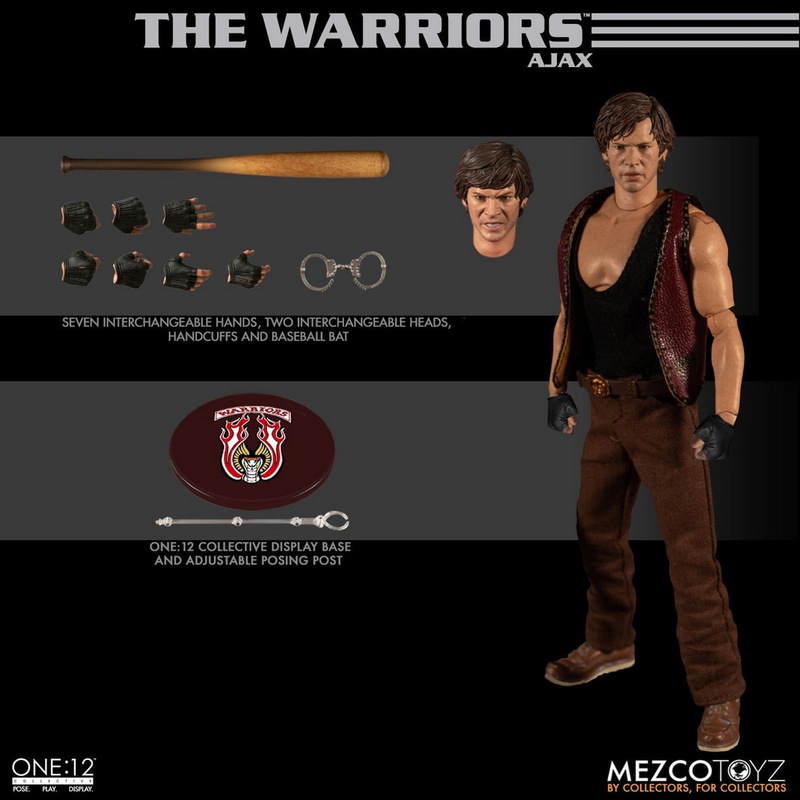 Ajax is always ready for a rumble and comes complete with a baseball bat and a pair of handcuffs. 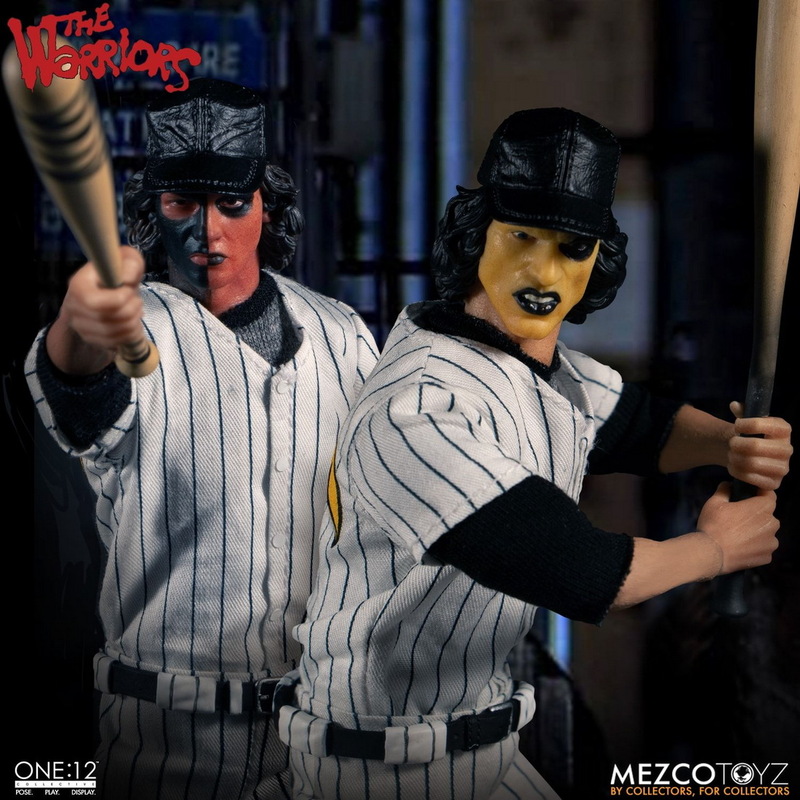 The Baseball Furies, both leader and soldier, are outfitted in their signature Baseball Furies uniforms. 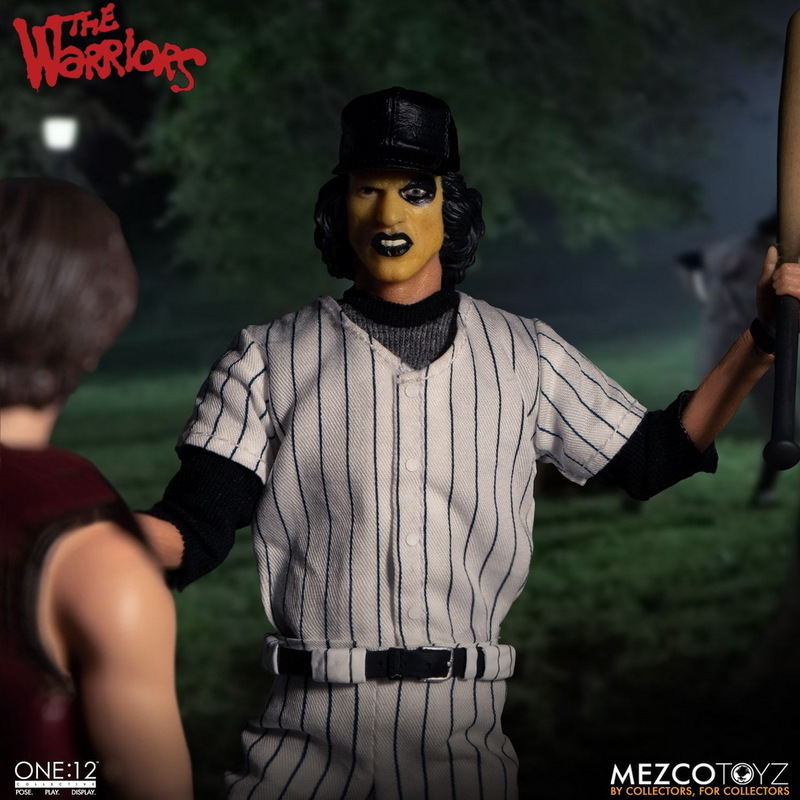 Both are ready to bring their A-game and each come complete with a baseball bat. 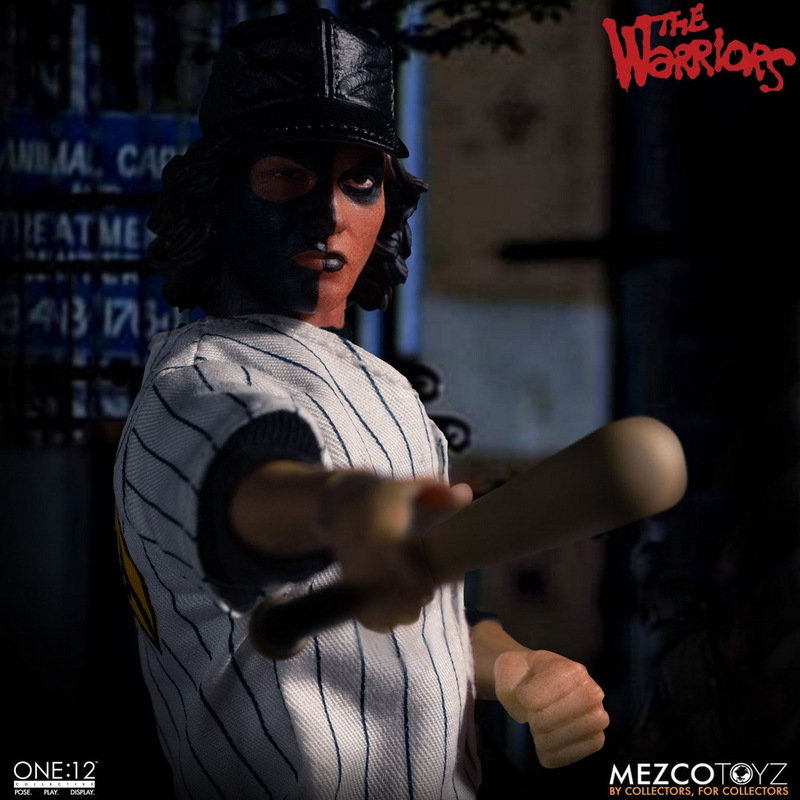 After being accused of killing Cyrus, president of the Gramercy Riffs, The Warriors soon have every gang in New York City out to get revenge. 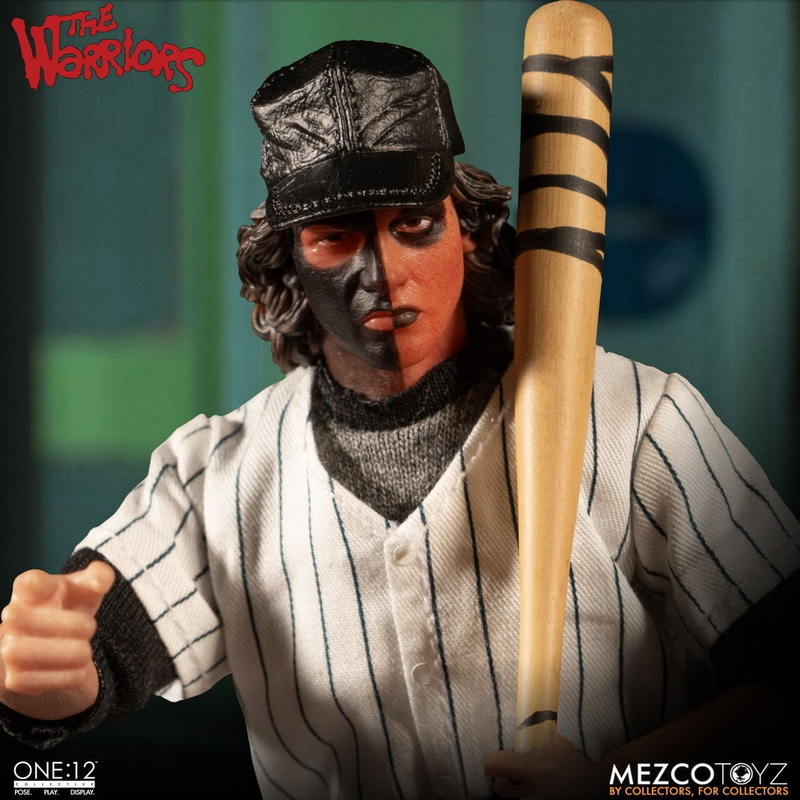 The turf battle rages from Coney Island to the Bronx as The Warriors fight to make their way back home. 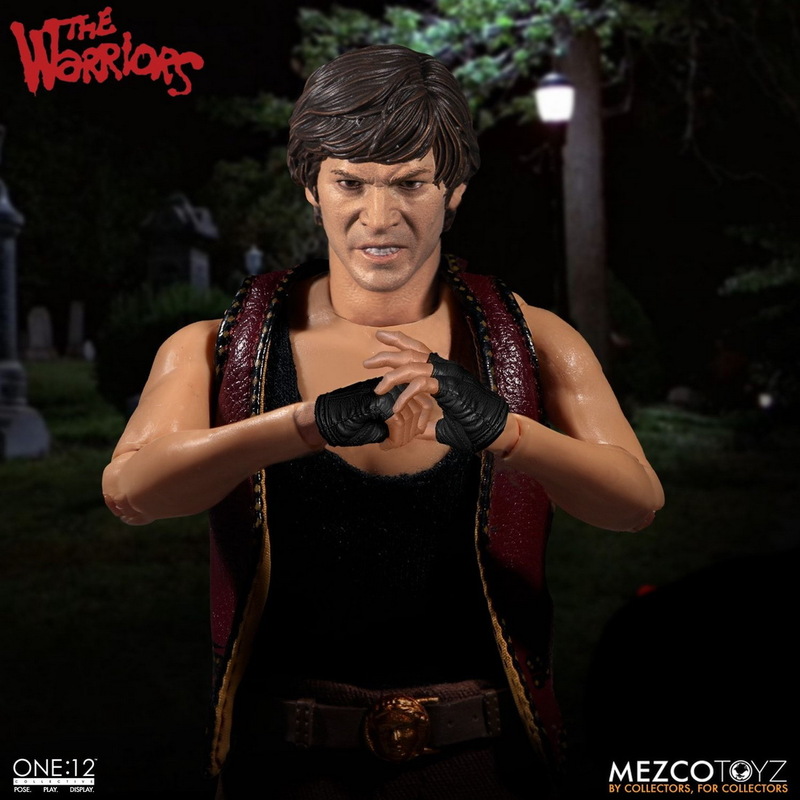 GMT+8, 2019-4-21 23:19 , Processed in 0.381036 second(s), 33 queries .